Read more about “Triumph and Homecoming”: a Tour de Force. 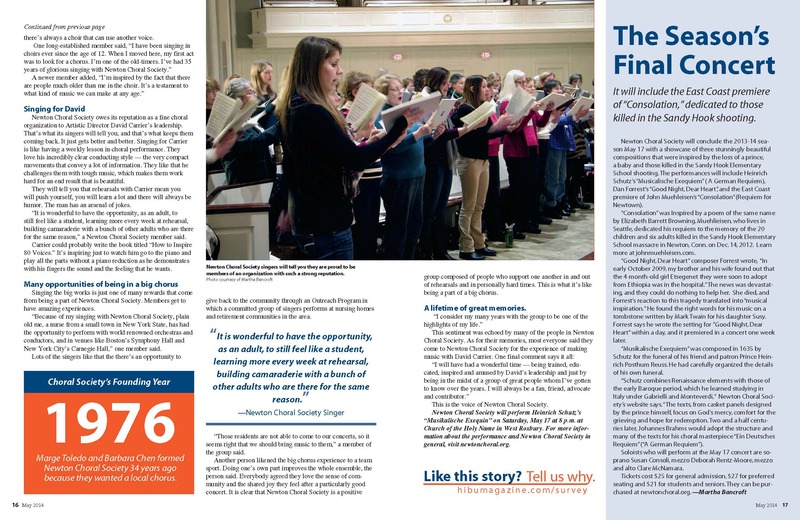 In May, 2014, Newton Choral was featured in the Newton life Magazine. If you didn't see it in print, here it is digitally for you to peruse. 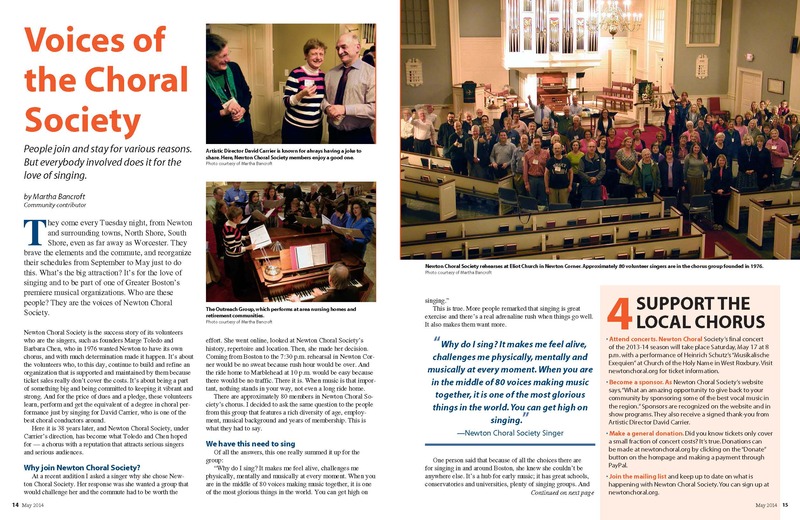 What a great article that really promotes singing with, working with, and supporting Newton Choral. Read more about Did you see us in Newton Life Magazine? Read more about Anybody That Performs My Work Is A Hero. 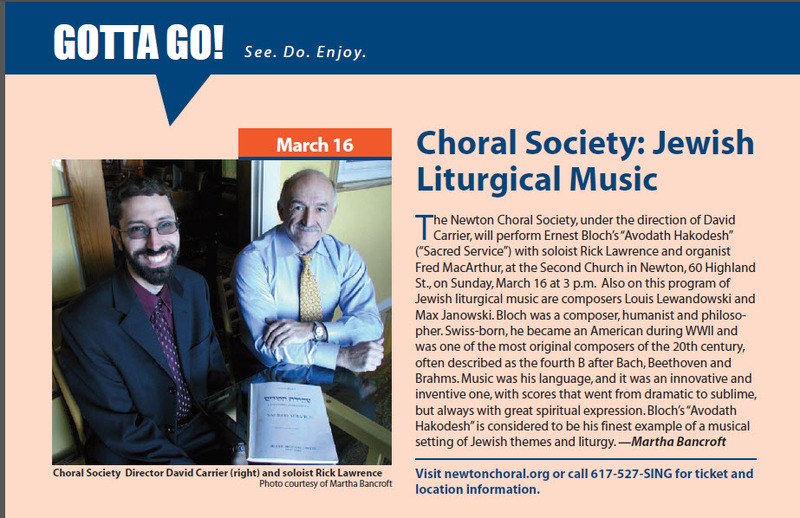 So excited to have our upcoming concert highlighted in the March issue of Newton Life Magazine. This concert features Jewish Liturgical Music by Ernest Bloch, soloist Rick Lawrence, and organist Frederick MacArthur. Read more about Gotta Go!